Krisp is the first ever innovative noise suppression tool that mutes background noise during calls. 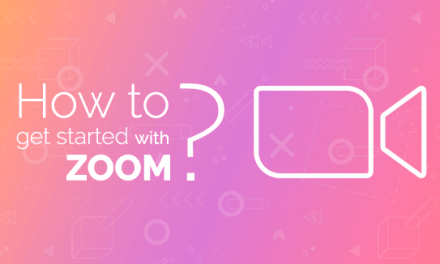 If you’re about to check out the wonders that it does, we’re here to guide you through the entire setup process. Here’s the full list of steps that will help you get your own Krisp within a few minutes! Visit our krisp.ai website and download Krisp app for Mac (Windows launching soon) or simply click here for a quick download. Once you double click on the krisp.pkg file, a pop-up window will open. Click Continue on the bottom right corner and proceed to install. Please note that the destination is not subject to change and application will only run if it’s in the Applications folder. 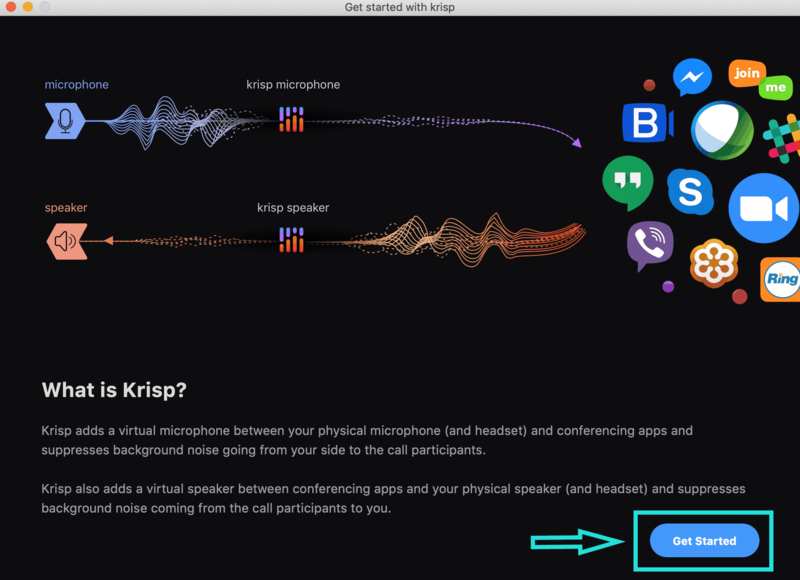 1.Krisp will add a virtual microphone that will sit between the physical microphone and other applications on your Mac. This will suppress the noise coming from your mic signal to the call participants. 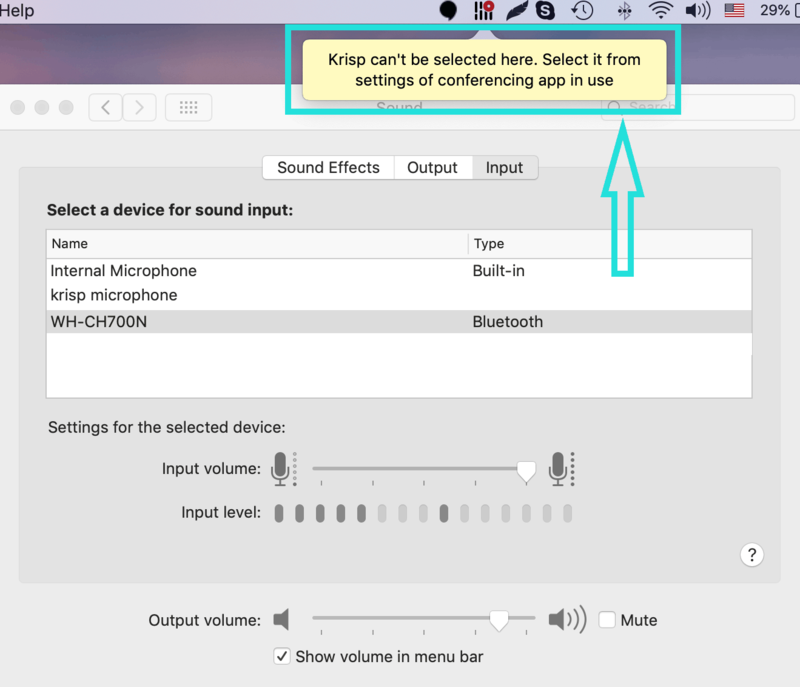 2.Krisp will add a virtual speaker that sits between the physical speaker and other applications on your Mac. This will suppress the noise coming from other call participants to you. 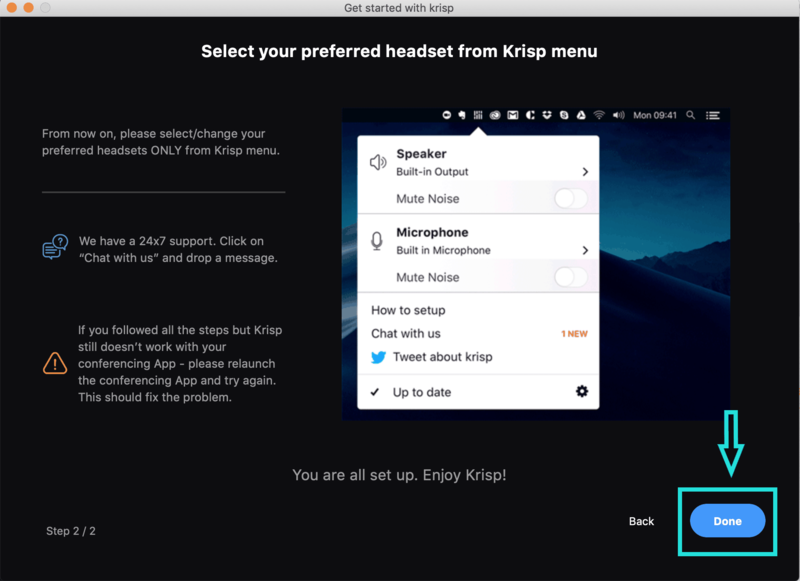 Click on Get Started to see how to select Krisp as a microphone and speaker for whichever conferencing app that you choose. 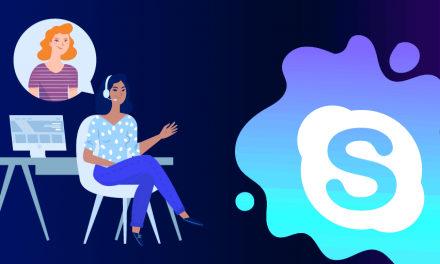 The window includes the setup process for 5 conferencing apps – Zoom, Skype, Google Hangouts, Slack and WebEx. We will go over each one of them now. To use Krisp with Zoom, open Zoom Preferences. Choose Audio section in the pop-up window (in case it doesn’t open by default). Later, click on the drop down menu in the Speaker section and switch to Krisp speaker. Repeat the same action in the Microphone section, by selecting Krisp microphone in the drop down menu. There you go, you’re all set for Zoom with Krisp! 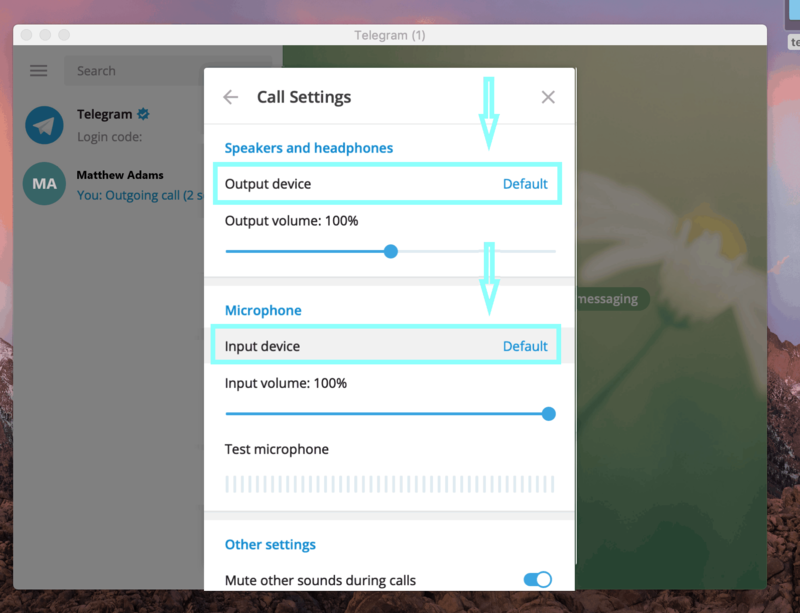 Open up your Skype and refer to the More Options icon in form of three dots next to your profile icon and choose Audio & Video Settings depending on your Skype version. Next, change the default device for microphone and speaker to Krisp microphone & Krisp speaker. All set up! Let’s move to the next one. Open Google Hangouts and choose Video Call icon. When the call window pops up click on the Settings icon on the top right corner. Change the microphone and speaker in the General section to Krisp microphone (virtual) and Krisp speaker (virtual). For WebEx, go to Quick start section, and select More Options beneath the Connected to Audio icon. From there click on Using Computer for Audio and the pop-up will take you to Computer Audio Settings. Krisp for WebEx is ready to roll! 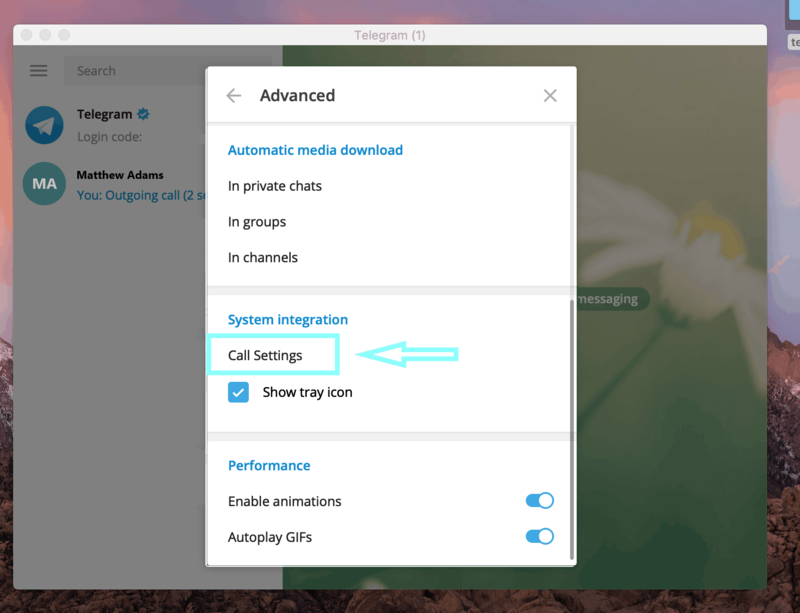 Get a Slack call going, and open up the Settings on the top left corner. From there quickly switch to Krisp microphone & Krisp speaker in the Audio Settings section. That’s it, you’re done with Slack! 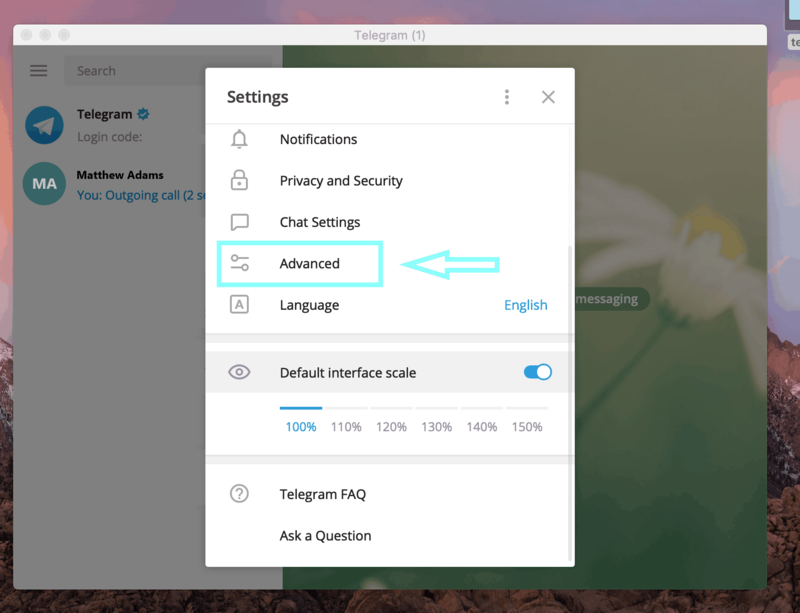 Open Telegram on your Mac and go to the Settings using the hamburger button next to the search bar. Once the settings window pops up in front of you, choose Advanced to access more settings. Scroll all the way down through the list and choose Call Settings in the System Integration section. Choose Krisp as a default input and output device in the Speaker and Microphone sections of the Call settings. 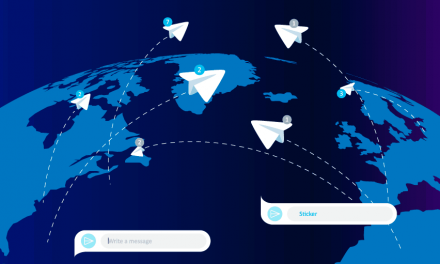 That’s it, you’re all set for Telegram Desktop! 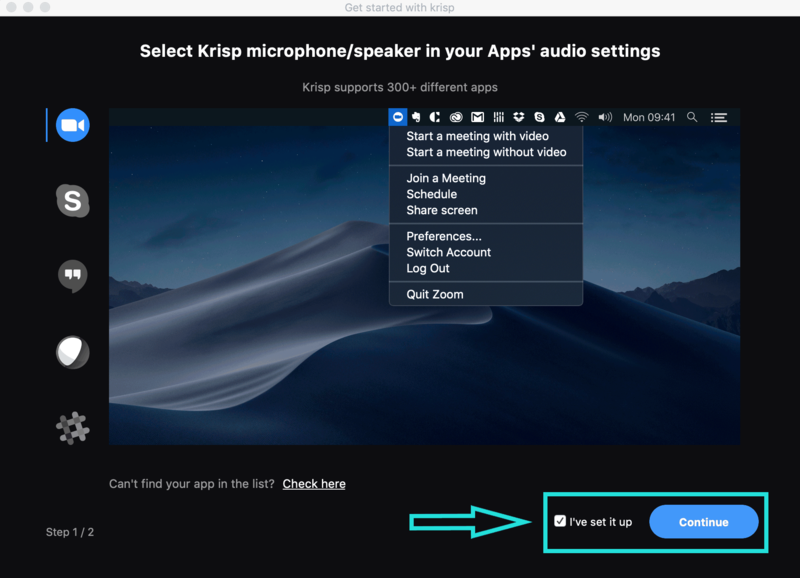 After choosing your preferred conferencing app and choosing Krisp as microphone and speaker, all you have to do is check the I’ve set it up box and click Continue. Next, you will see the screen shown below. Click Done to proceed to Krisp. The wizard window will close and you will see this message shown below on Krisp. It will ask for microphone access, so click OK to make Krisp work. 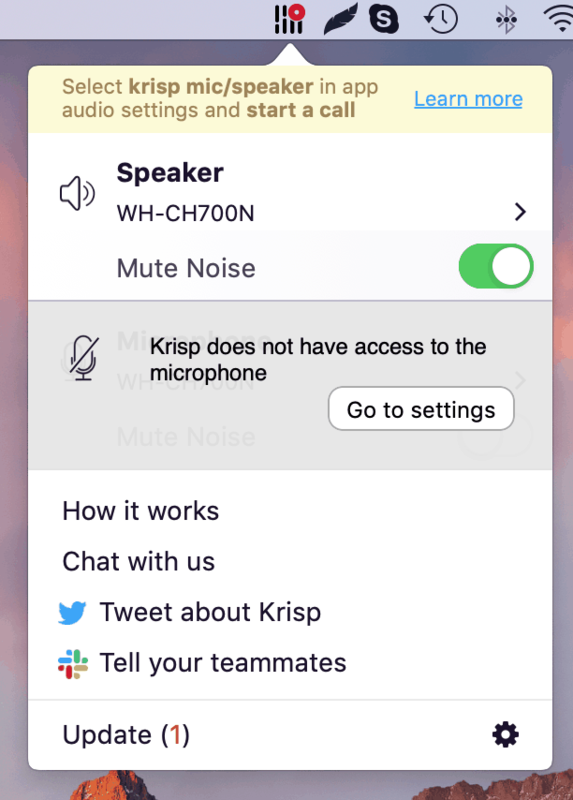 If you don’t enable this, you won’t be able to use Krisp to mute your own noise. Make sure you choose Krisp only through the conferencing apps which you plan to use Krisp with.